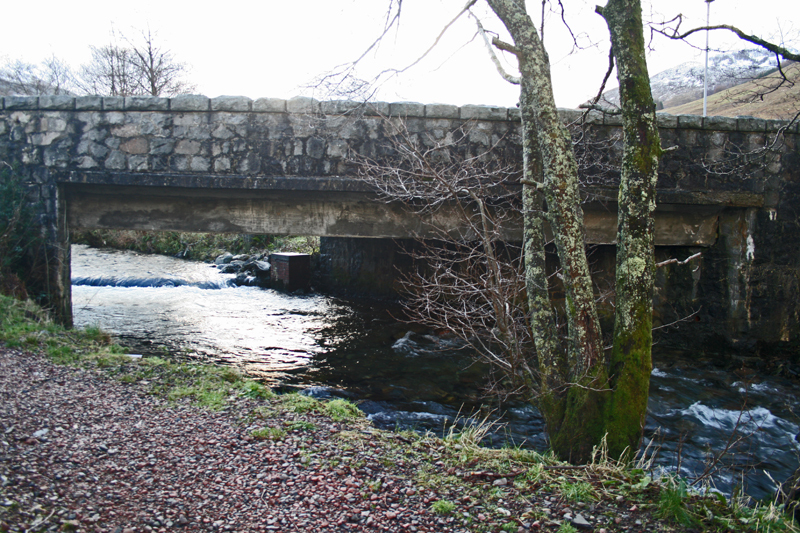 The MP for Inverness made the comment that normally rivers and other waterways were bridged, but that the narrow sea passages in his constituency at Kessock and Ballachulish remained unbridged and serviced by ferries. He also suggested that although previously well run, the Kessock ferry at least was no longer so. The Ballachulish store of the Scottish Co-operative Wholesale Society opens as store number 72. The store was sited where Quarry Cottages now stand opposite Fern Villa, and remained trading until the Co-op bought Barrs Stores in 1997. For many years, the store manager lived in Fern Villa, although the house itself is much older. The building used by the Co-op had previously been Cochranes Bakers, and is remembered as being very small, with more space in the warehouse to the rear than the shop itself. After the peak of the first decade of the 20th Century, production steadily dropped off, and in 1945 annual production was just a third of the peak at somewhere around 6 million slates a year. Doubtless the depletion of the workforce by the war had played its part, but the quarries never recovered. Even in 1945, the slates were considered to be superior to any other, fetching around 5/- per thousand more than any others. However, this may have been part of its undoing, with the introduction of cheaper products from overseas. Within a debate it was stated that the Air Ministry were refusing to hand back slipways in Oban that had been requisitioned during the war, despite no longer using them. This was apparently causing problems for the local fishermen, and it was then described as farcical that despite refusing to return the slipways, one had been lent out to allow two Ballachulish Ferries to be repaired. 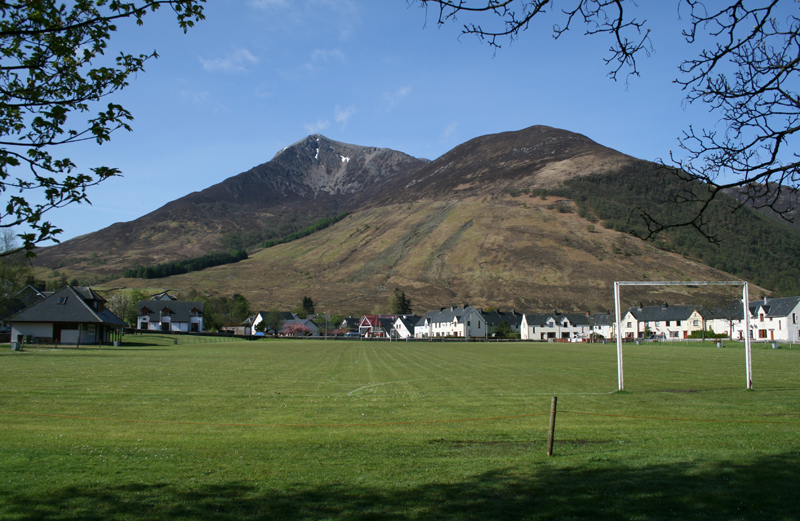 Following the war, and as an emergency solution to the national housing crisis, Ballachulish became home to 21 Prefab houses, sited where Croft Road now stands. The exact date of construction is not clear, although they are shown in photos from around 1949, and they remained standing until the late 1950s when they were replaced with the current houses. The prefabs were accessed from the roadway between the flats of Leven Terrace, rather than the road access now used. On the eve of the creation of British Rail, there has been a reduction of service on the Ballachulish line since the opening in 1903. Ballachulish was now served by just 3 trains each way each day, largely catering for the school children going to Oban. Barcaldine was a request stop, where all trains stopped ‘on notice to take up or set down’. Not all trains were through trains to/from Oban, hence the differing times from Oban to Connel Ferry. SX = Not Saturdays; SO = Saturdays only. There appears to have been no Sunday service. A mere 25 years after the last round of mergers, the railways were once more consolidated, this time as part of the nationalisation of the railways into British Railways, under the Transport Act 1947. This saw the Ballachulish Branch become part of the Scottish Region, and for the first time it was controlled by the same people who looked after the West Highland line into Fort William. At the same time most of the steamer services and ferries which operated up and down Scotland’s West Coast were nationalised, as many of them were already run by the railway companies. The Ballachulish Ferry, however, was not included. The MacBraynes Transport group was, at the time, half owned by LMS Railways, and so the Government acquired a half stake in this business which included busses and lorries as well as Ships. Many of the bus services operating in the Ballachulish area were run by MacBraynes, which subsequently came under full state control with the nationalisation of the buses and formation of the National Bus Company in the mid 1960s. In 1948 the Ministry of Transport Statutory Enquiry into ferries around the coast of Great Britain recommended that a bridge be built at Ballachulish. However, despite this recommendation nothing seems to have come of it, and instead new 6-car ferries were ordered to increase the capacity of the crossing. Following the damage done to the Jubilee by the construction of Albert Road prior to the war, work was finally undertaken to remedy the issues in 1948, and further work was done in the early 1950s as the problems had still not been completely fixed. The family had been connected to the village Slaughterhouse and Butchers shop near the station for many years, but in 1948 they branched out into Selling cars and providing garage services. This has since grown into three successful businesses. The Glasgow Herald reported in 1962 that the combined volume of traffic across the ferries at Ballachulish, Kyleakin and Kylesku was 63,000 vehicles in 1950. It is not unreasonable to suppose that around half of this was at Ballachulish, with Kylesku being lightly trafficked in comparison with the other two. The houses of Park Road and Albert Road were started in 1938/9, but due to the interruption of the war, many were left half built or unroofed until 1946/7 when work resumed. Rent books etc show that some of the houses were first tennanted in 1948 and 49. As soon as Park Road was completed, it appears that some of the residents of West Laroch were moved over, and their old cottages cleared with the ‘Crescent’ built by 1953. Work then moved up the hill with MacColl Terrace being built in the mid 1950s in the then new Argyll County Bungalow designs which took over from the earlier 2 storey houses. The new road bridge on Albert Road is opened to traffic, replacing a footbridge which had previously spanned the River Laroch alongside the railway line. This is the final section of the route to be upgraded locally following the announcement of the upgrade in 1934. The new bridge and associated road sees the A828 and ferry traffic diverted away from the narrow Brig O’Laroch, which had been the only vehicular crossing of the River Laroch for 175 years. In summer 1951, the Ballachulish ferry service became a three-boat operation with the introduction of the new Mamore. This was a four car ferry which was built by James Noble in Fraserburgh – it was the first to be built by them, and with the exception of Glenachullish all other Ballachulish ferries were built in Fraserburgh. In the autumn, the two older ferries were sent, presumably one at a time, up the Caledonian Canal to Inverness for overhauls. Over the next few years, the ferry operated from 8am to 8pm in the summer and 9am to dusk in the winter months. Outwith these times, there were a number of other small craft which could be used on the passenger only service. Some of these were also available for charter and offered sightseeing trips from the slipways. Within a debate, reference was made to the Connel to Ballachulish Branch, which had apparently been threatened with closure on and off for many years. It was claimed that if the connecting trains were running late, additional passengers were taken up the road by car as it was the cheapest solution (not a replacement bus service you note!) The road was, however, described as being a narrow country lane and a bad winding road, which was considerably longer than the railway, due to the latter’s use of a bridge. It was also commented that if the railway closed, there would doubtless be double deckers hurtling up the road endangering the public! The response was that there was no current plan to close the line. There appears to have been a brief closure of Ballachulish Station between March and May. It is unclear what caused this closure, nor indeed whether it was localised just to the Ballachulish Station, or if other parts of the line were also affected. The MP then went on to suggest that if the Ballachulish Branch was extended across Loch Leven and so onto Fort William, the line across Rannoch Moor could be lifted, so saving 20 or 30 miles of line ‘running through country where there is scarcely a house’. He suggested that this would save millions of pounds. The Quarry company officially closed the quarry in 1955. Competition from cheaper products from overseas had already reduced the workforce to about 20 men by 1951, and the quarry’s heyday was long gone. Even after official closure, a few of the older quarrymen continued working some of the slate for a number of years, but by now it was just a cottage industry turning out a fraction of what the quarry had produced in the past. Despite the Smelters in Kinlochleven and Fort William providing electricity to their towns, Ballachulish was ‘left in the dark’ without electricity until the mid 1950s. The arrival of electricity had, however, been expected, and many of the houses built over the last decade had been wired in readiness for the electric. The West End playpark was first set out in 1955 for the children of West Laroch. Later, in 1958, a plaque was provided naming it the Sir William Haldane Playing Field, after the benefactor who had provided the land. However, in the mid 1980s there was some controversy regarding who exactly owned the ground, before Lochaber District Council finally stepped in and took over ownership. The Secretary of State for Scotland was asked about the unfinished condition of the North Connel – Ballachulish road, and its resultant handicap to the developing tourist industry in the area. It was also noted that there were 5 sections which were considered quite dangerous and that 18 years had passed since any work was last done. (This is clearly incorrect, as at least two bridges bear 1951 datestones) He was unable to give a completion date, but said that the Kentallen – Lurignish section should be authorised soon, costing about £65k. The Ballachulish Ferry fleet was thoroughly overhauled during the 1950s, with the Appin Chief arriving in 1955 and quickly followed by a new Maid of Glencoe in 1957. Both of these were 4 car ferries, and saw the retirement of the older 2 car vessels. The new boats also featured shelters for the crew, which was undoubtedly a welcome addition in the worst of the winter weather! The old Maid of Glencoe was broken for spares in 1955, and the Queen of Glen Albyn went to Glenelg in 1959. The Secretary of State for Scotland was asked when a Bridge would be built, following the recommendation by the Beaton Committee. He was unable to answer.